The photographers represented here cover subjects ranging from the daily lives of African Americans to the struggle of the Civil Rights movement and the impact of African American culture on American society at large. Barbara Head Millstein is Curator of Photography at the Brooklyn Museum of Art. 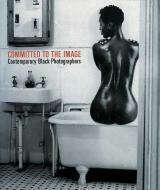 She is co-author, with Sarah M. Lowe, of Consuelo Kanaga: An American Photographer (1992). Deba P. Patnaik is a poet, translator and critic who has written widely about contemporary photography. He has taught at Oberlin College, the University of Michigan and Cornell University, and has curated a number of photography exhibitions. He is the author of Contemporary Afro-American Photographers (1983) and Barbara Morgan (1999). Clyde Taylor is a film historian, cultural critic and essayist. He is a professor in the Gallatin School of Individualized Study and the African Studies program of New York University. He is the author of The Mask of Art: Breaking the Aesthetic Contract – Film and Literature (1998) and one of the four co-editors of Black Genius: African American Solutions to African American Problems (1998). "The presence of the photographers' voices throughout the book provides an interesting counterpoint to the essays, as well as invaluable clues to meanings found in the more challenging works. Their inclusion makes a good book even better."